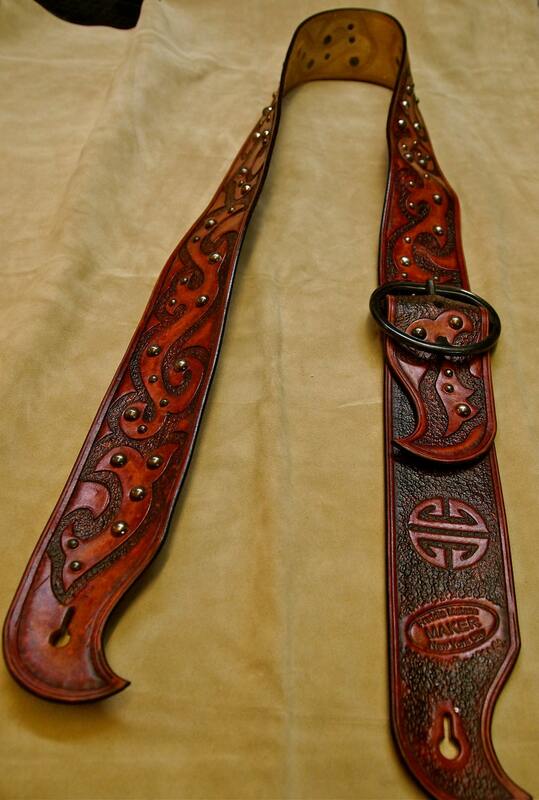 Antique RED Leather Guitar strap : Hand tooled, Handmade, Asian tribal style with Fine hand work. Hand crafted in New York! 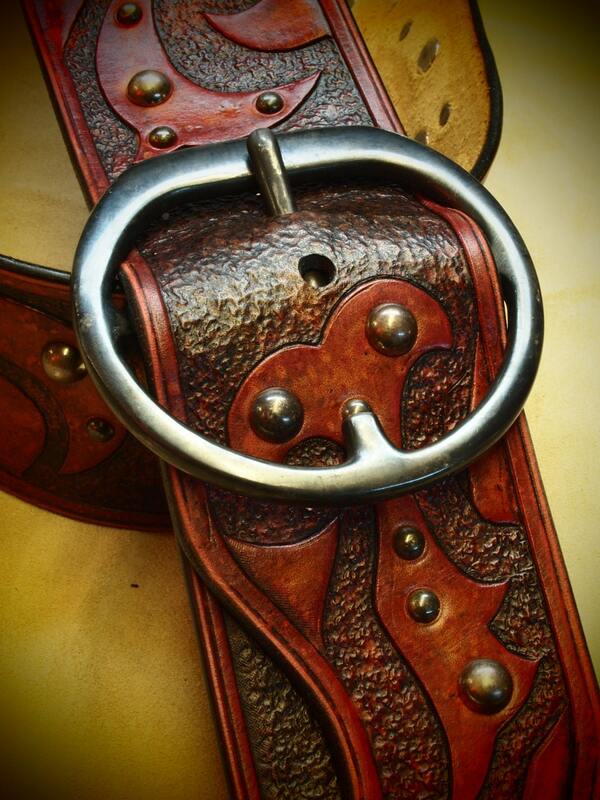 This Antique red leather Guitar Strap is completely handmade using 9 oz. Grade A Vegetable tanned Leather. It is hand tooled the entire length, in a unique Asian tribal pattern. Hand aged nickel spots adorn the design. 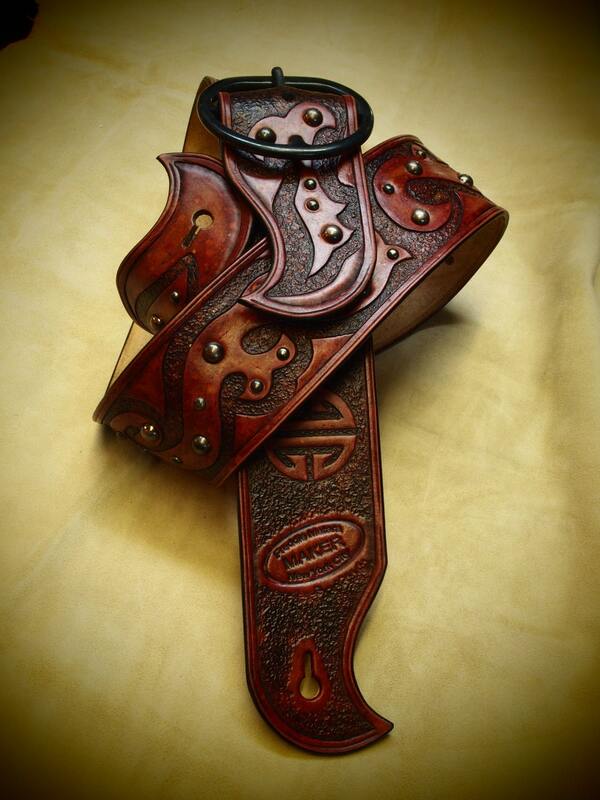 A stylized Hand tooled Chinese flower and my Makers Mark sit below the buckle. It is hand dyed antique red with burnished black edges. 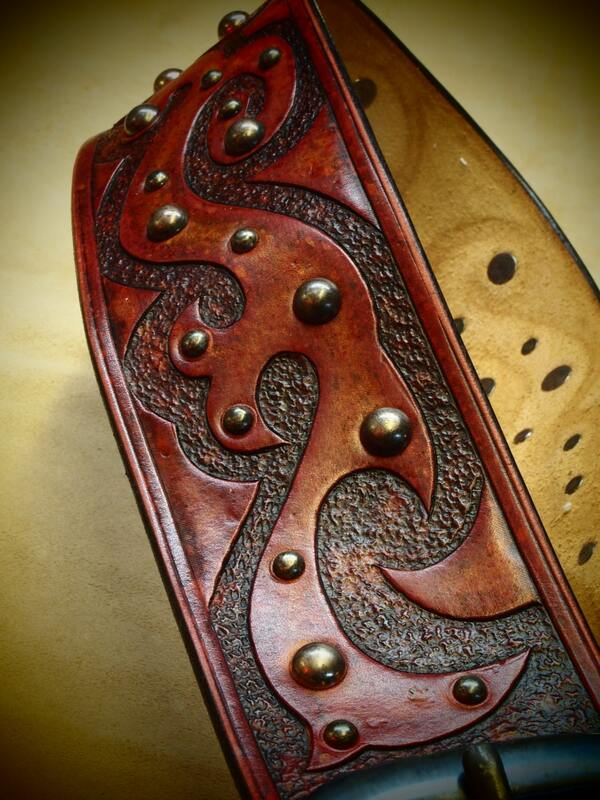 At nearly 3" wide, it's a substantial strap and will perfectly support your guitar. A beautiful Hand aged stainless steel Customized buckle sits right up front adding loads of style to this already highly designed strap. This is to keep the design faithful.